If you are confused about the differences between a will-based estate plan and a trust-based estate plan, you’re not alone. According to a recent informal survey we conducted of a group of Central Florida seniors over the age of fifty, 65 percent of those completing the survey indicated they were confused about the topic and would like to learn more about how a will differs from a living trust. Our clients (and future clients!) enjoy the use of analogies to help them understand estate planning concepts. The “imagine buying a car” analogy is a favorite that illustrates the technical differences between wills and trusts. Before launching into my comparison, it’s important to understand that a key difference between the two documents is that a will takes effect after your death, while a living trust becomes effective during your lifetime and extends beyond your death. You would be buying a car that you don’t get to drive during your lifetime. You may dictate where the car gets driven after you die. You may specify who drives the car after you die. But the car would sit in your garage with no tires and the keys would be locked up at the probate court. After your death, the person you want to drive the car (known as your Personal Representative in the State of Florida, or Executor in other states) must go to the probate court to request the keys and buy tires for the car to be able to access all of your worldly assets which are locked inside the trunk). The probate court can decide if it wants to give the keys to the Personal Representative that you chose, or it might pick a different driver. The probate court is the only place that has tires that fit your car – your driver cannot go anywhere else to buy the tires. Only then may your Personal Representative drive your car where you said it has to go. You would be buying a car that you can drive immediately. You can learn the car’s blind spots and change or upgrade its options. You can add and remove assets from the trunk of your car at any time. Like a will-based plan, you dictate where the car gets driven after you die, but unlike a will-based plan, the probate court is not involved. You get to choose the next driver (your Successor Trustee) without the permission of the probate court. You keep the car full of gas, with great tires, and the next driver does not have to go to the probate court to get permission to buy tires or to access the assets in the trunk. When you die, the next driver immediately takes the keys and starts driving where you said it has to go. The probate court is not involved, saving the next driver from having to wait months to access the trunk, and sparing the next driver substantial expenses in the form of probate filing fees and court costs. Timing: A will-based plan’s engine starts after you die (you don’t get to drive the car). A trust-based plan’s engine starts the day you sign it (you get to drive the car). Control: The probate court controls your will-based plan. Your Personal Representative must petition the court after you die for the right to handle your affairs (drive your car) and must get permission from the court to take action (purchase tires). You control your trust-based plan. Your successor trustee automatically has the right to handle your trust’s affairs (drive your car) after you die and does not have to get permission from the court to take action (purchase tires). My guidance to clients is always to be mindful that creating an estate plan is being done to relieve the burden on their loved ones. The administration of the plan typically occurs during a time of grief, so whatever can be done to make the process easier and to minimize their loved ones’ out-of-pocket costs (probate fees, etc. ), may be an important consideration for the client when deciding whether a will or trust is more beneficial. 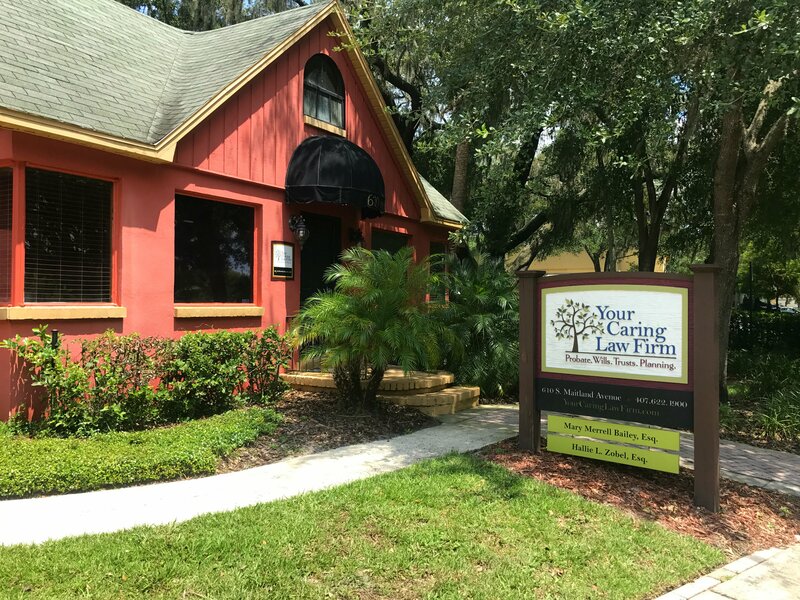 If you do not currently have a will or estate plan and would like to discuss your options, please call our office at (407) 622-1900 to set up an appointment.